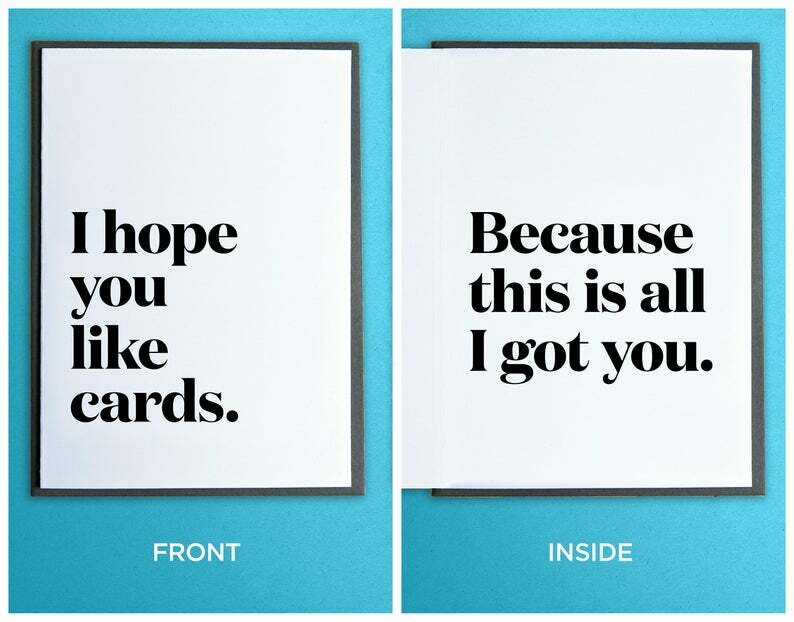 Front: I hope you like cards. Inside: Because this is all I got you. Funny Anytime Card - Birthday Card - Friendship Card - I think, therefore I am eating ice cream. Funny Boyfriend Card - Girlfriend Card - Love Card - You're like me. Only better. Funny Boyfriend Card - Girlfriend Card - Love Card - All's fair in love and robot war.